A long and unnecessary title, I know, but after the whirlwind weekend we had at Sawdust City, it's going to have to do. I'm tired. We launched the Long, Dark Voyage to Uranus upon the unsuspecting crowd at The Only Cafe's Winterbeer Fest this past Friday night and I'm glad to report that it went over exceedingly well. Along with it's good friends Ol'Woody Alt and Lone Pine IPA, Uranus was sucked dry in a mere matter of hours. A good problem to have if you're a beer company. Not so good if your a gas giant. 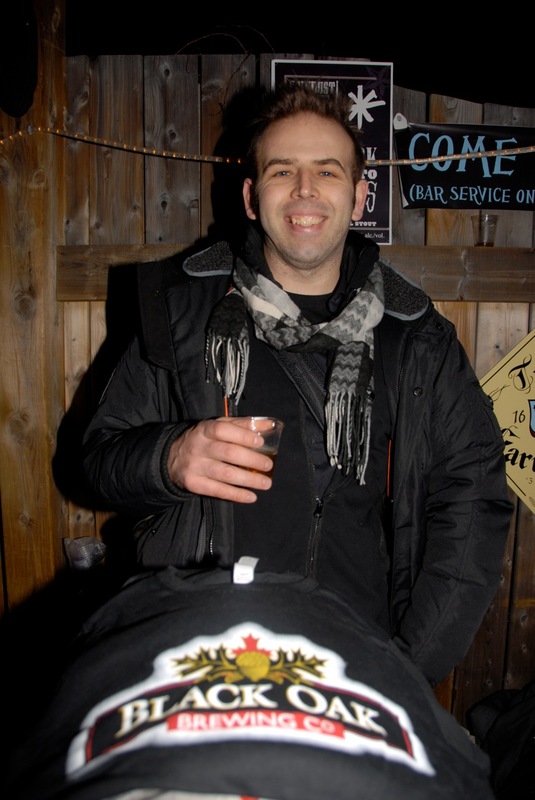 The Winterbeer Fest was put together by the good people at the legendary The Only Cafe in Toronto's Eastend. 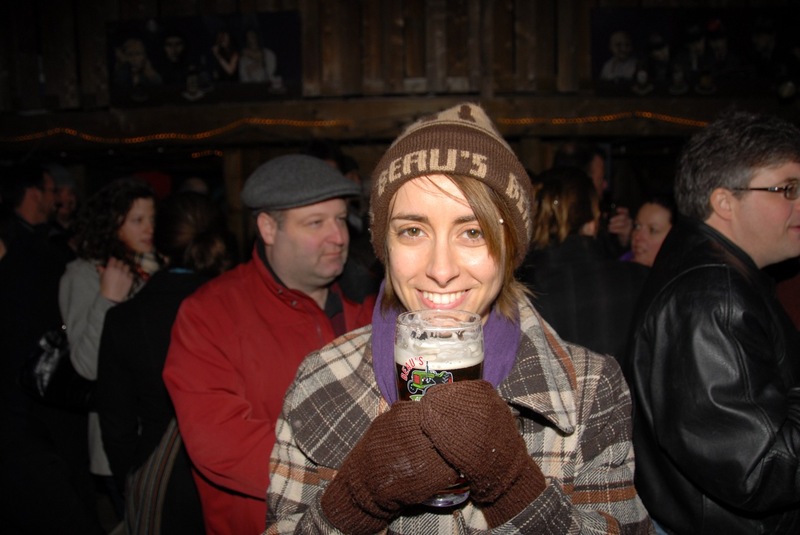 Situated on Danforth Ave, The Only's Winterbeer Fest brought together brewers and beer fans for an outdoor celebration of all things beer. Just to name a few. 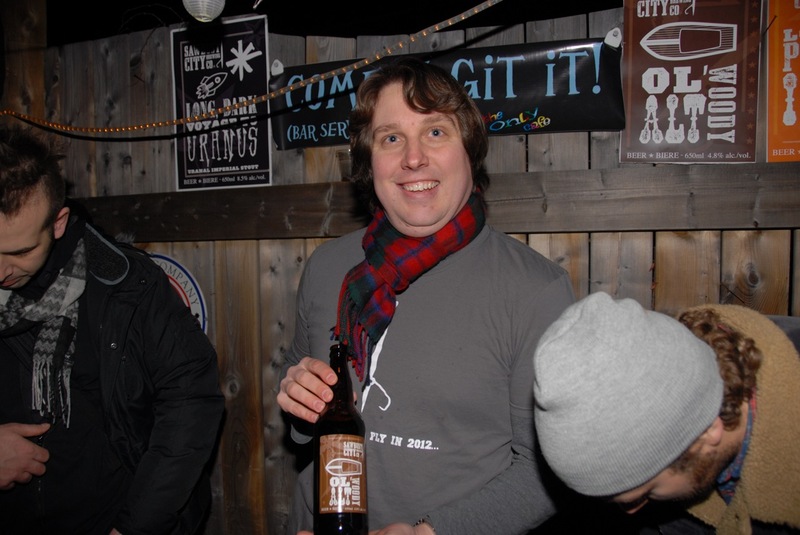 Railway City, Cameron's Brewing, Steamwhistle, Wellington, Flying Monkey's, Creemore and Beau's were all in attendance too. There may have been others, but after a few of the Flying Monkey's Imperial Stout...well let's just say I may have forgotten. And Flying Monkey's weren't the only ones that brought special beers just for this occasion. 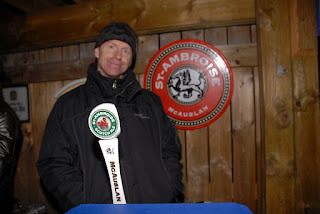 Steamwhistle had an unfiltered, dry-hopped version of their massively successful Pilsner on hand, a rare treat indeed. 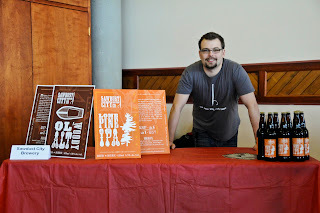 Wellington brought a one off cask of IPA, Black Oak had a cask of Hop Bomb Pale Ale and Beau's had their Beaver River IP'eh there too, a day before it's release none the less. And while I was out exploring the fantastic wares of the festival, The Great Nodini and KR manned the Sawdust booth...you can't buy friends like that. Unless you have an ample supply of beer. Then yes, yes you can buy friends like that. It was a beer festival so of course Troy Burtch from TAPS The Beer Magazine was there. 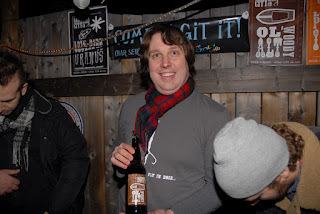 This time though he wasn't just there to represent Canada's only national beer publication, but apparently Scandinavian ingenuity as well...check out the awesome "skoozi"(sp? 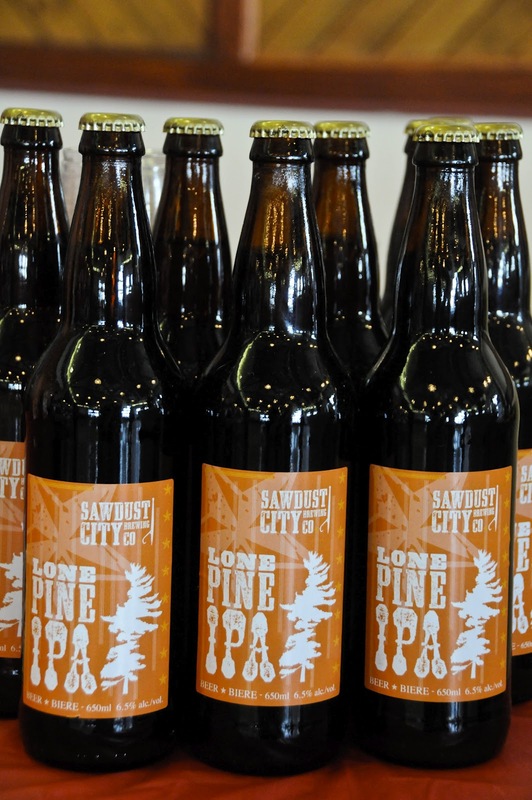 ), a must for any outdoor beer enthusiast. 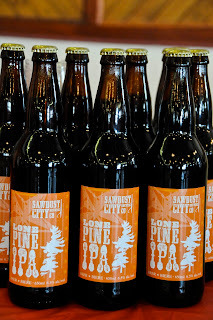 Friday was a good night for Sawdust City, but that wasn't all that was going on this weekend. 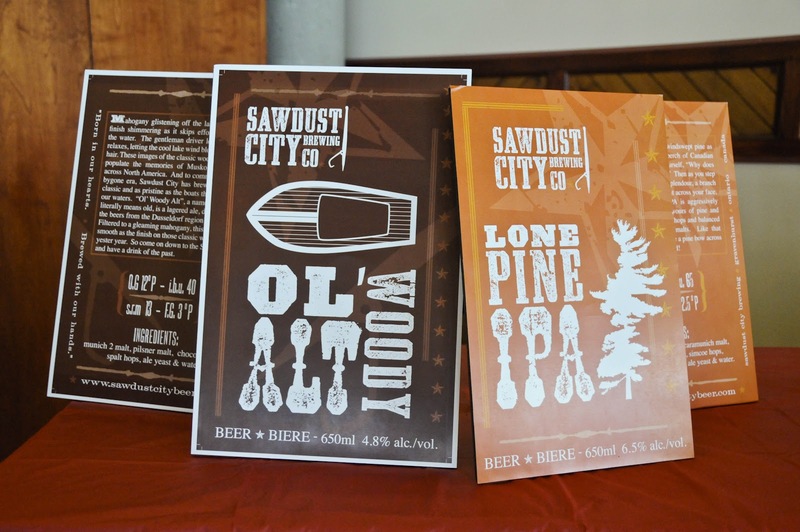 On Saturday and Sunday up in Barrie, Ontario, it was the 5th annual Easter Seals Beer & Chili Festival and Sawdust City was proud to be there serving our Ol'Woody Alt and Lone Pine IPA. Representing Sawdust City at the Beer & Chili Fest was chef Sean. He got the beer out and he got the word out. 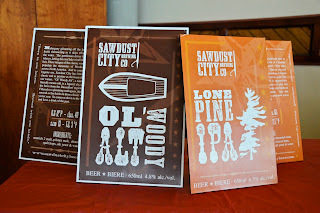 By the end of the festival the good people of Barrie knew what Sawdust City was all about. 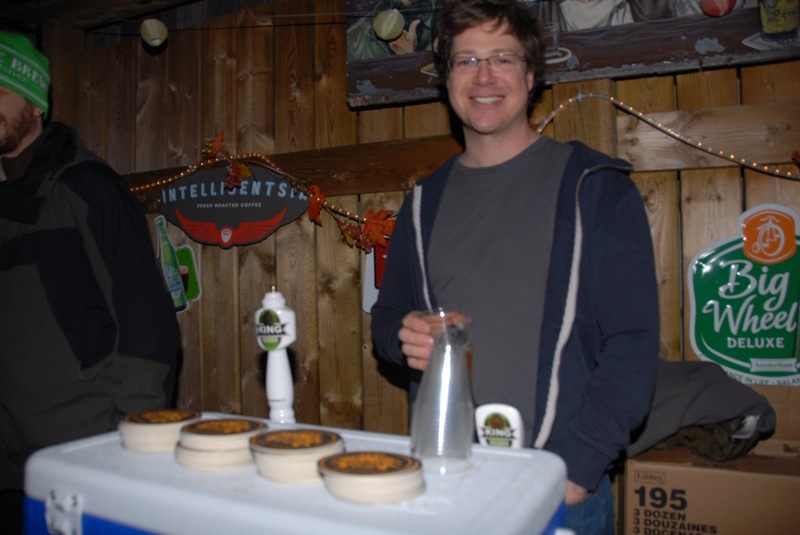 The Easter Seals Chili and Beer Fest was a wonderful event for a great cause and Sawdust City was just happy they could be a part of it. 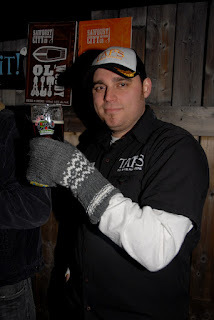 And just like The Only Cafe's Winterfest, we ran out of beer in Barrie too! So although I maybe tired, it was a successful weekend all around. 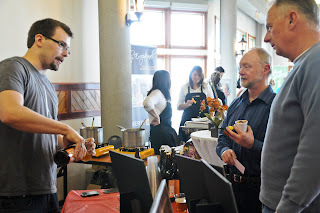 Thanks to Noddy and Kevy for manning the booth at The Only. 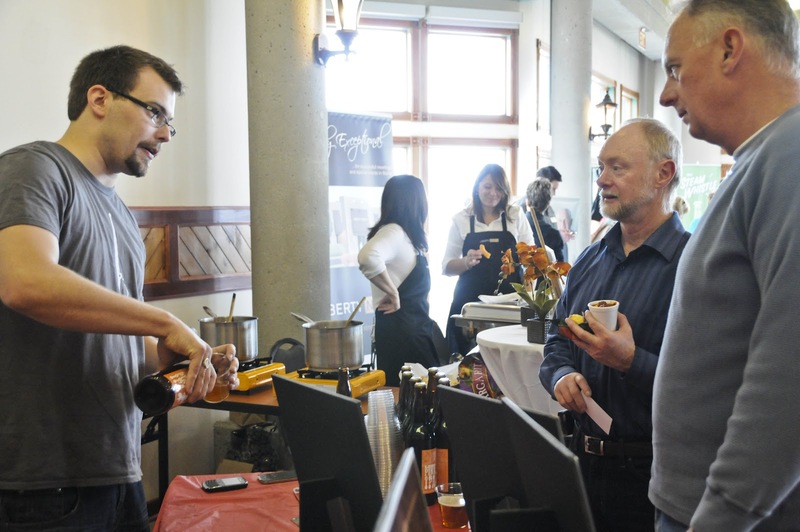 Thanks to Chef Sean for manning the booth in Barrie. Thanks to Jaime and Steph for snapping some sweet pics. 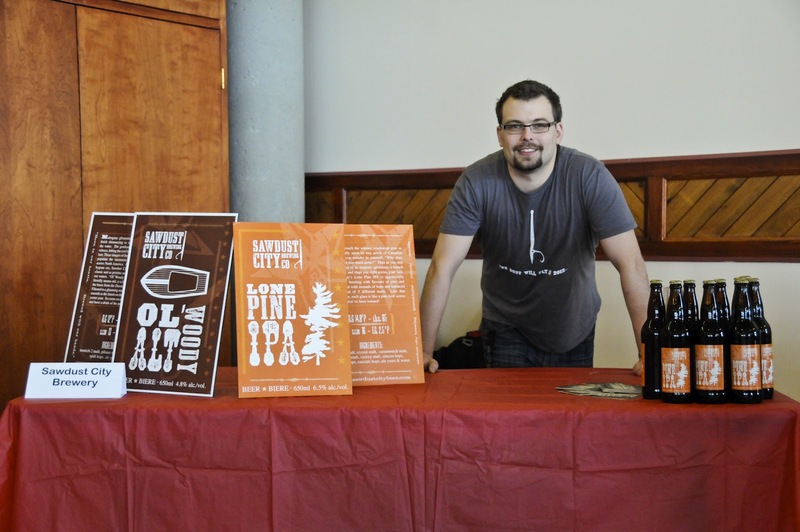 And thanks to everyone that came out and tried out beer at these two awesome events. We really do appreciate it. Anyhoo, that's about it for this now. Until next time, keep the beer in your mugs and the sawdust beneath your feet.